Keynote for October’s LTAIG Conference Announced! The Keynote speaker for our 2015 Library Technicians and Assistants Interest Group (LTAIG) Annual Conference on October 13 will be Giller Prize-nominated author Elisabeth de Mariaffi. Her poetry and short fiction have been widely published in magazines across Canada. 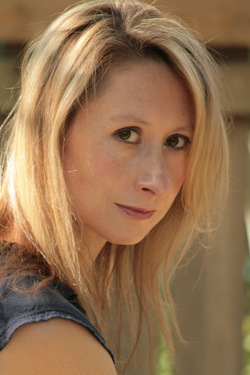 In 2013, her story “Kiss Me Like I’m the Last Man on Earth” was shortlisted for a National Magazine Award, and her book of short stories, How To Get Along With Women (2012), was long-listed for the giller prize. Elisabeth has recently published a new novel, The Devil You Know (2015). Elisabeth makes her home in St. John’s, Newfoundland, where she lives with the poet George Murray, their combined four children and a border collie — making them CanLit’s answer to the Brady Brunch. NLLA members can register online for this free conference. Registration for the 2014 LTAIG Annual Conference is now open! The Library Technicians and Assistants Interest Group (LTAIG) is holding its annual one-day conference on Tuesday, October 14. It will be held at the CMC Library, ED2030, in the G.A. Hickman Building, on the Memorial University of Newfoundland’s St. John’s Campus. Check out the conference web page for more details or download the conference program. Register online. The Conference is free to all NLLA members!